Sustainability has become a big part of the agenda for companies, governments and individuals alike. Anthropogenic climate change is now a global issue, and it is up to all of us to try and be aware of what we’re doing and how we can avoid contributing to this potential disaster in the future. As with many things, tech – in the form of apps –can help. Without further ado we present 4 really useful apps to help you in your path to sustainability. JouleBug has lately received a lot of praise, with an overwhelming number of positive responses on the Google Play store. 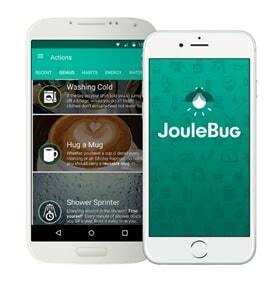 Available also for iPhone devices, JouleBug allows you to track your everyday habits and make small changes to make your actions more sustainable. The app is gamified, meaning you can get points for every positive action you do. Did you cycle instead of driving? 16 points in the bag. Did you use a reusable mug for your cup of tea? That’s an extra 5 points. Moreover, the app can sync to your utilities, allowing it to track any reductions you may possibly be making and giving you credit for doing so. With claims of the app saving around £160 per year, it’s both a financial and environmental incentive to get started. This may seem like an odd choice to be grouped as a sustainability app, but it is genuinely helpful when it comes to reducing emissions, particularly during rush hour. As you slow down and wait in traffic, your car is still emitting noxious fumes from its exhaust, making your emission tally significantly higher than it would be from a speedier journey. 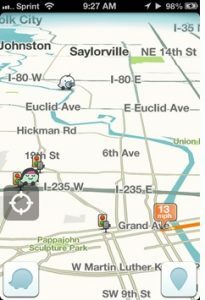 Waze tries to avoid this, giving drivers live updates on traffic times and alternate routes. These are all fuelled by the community, as Waze uses data from other drivers to keep you informed as to which route is best. Waze is completely free, and can help you save money in the long run as you burn less fuel. It’ll also mean you can get home quicker after work, and certainly with less road-rage! As you may have heard, Nest is a smart thermostat that keeps your home at a comfortable temperature, all controlled from your phone, tablet or watch. The thermostat is also intelligent, learning from your behaviour and knowing when to turn itself off and on. When it comes to saving energy, this app is great. Instead of keeping your empty home warm all day, you can use the app to turn the heating on just before you arrive, saving you countless hours of wasted energy. 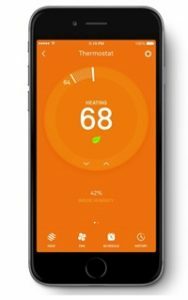 To use the app, you need to have the Nest thermostat (hardware) installed in your home –but it’s certainly worth it. Energy (and financial) loss through heating is the main use of energy in homes in the UK, so any technology to help you with this is bound to come in handy. 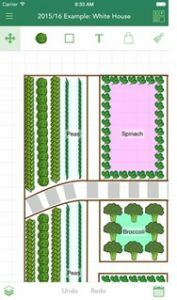 Having an urban garden is beneficial in more ways than you could imagine. Most urban gardening systems offer considerable water, energy and space savings compared to traditional systems, which use plenty of land and energy to allow for their mechanisation. Furthermore, they allow you to grow your own food organically and for negligible cost, as once you’ve got your setup ready all you’ll need is seeds, soil and water. You don’t even need fertilizer, as you can use organic matter from your vegetables for compost! GrowVeg is an app that makes the process of having a vegetable garden at home incredibly easy. The app allows you to keep track of where all your crops are, keep a text and photo journal and give you reminders via email. The app will also warn you on where and when to avoid planting vegetables and give you access to a gardening community where you can ask questions, seek advice and help others in their home gardening experience.